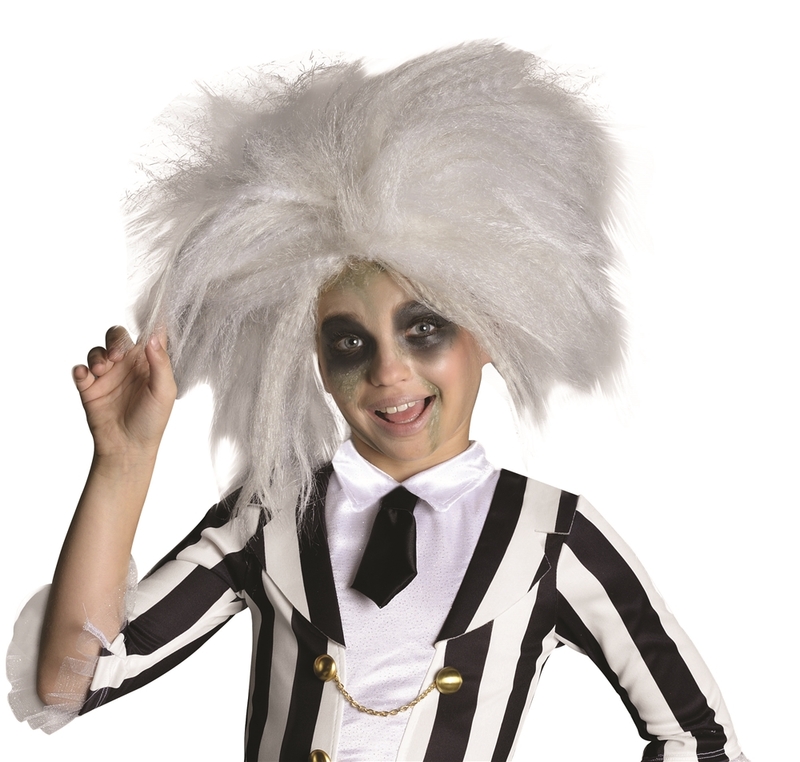 Scare the living out of their homes as the (under)world's leading freelance bio-exorcist with the officially licensed Beetlejuice Child Wig. This wig is designed after everyone's favorite fun and raunchy poltergeist, with styled up and out crimped white & silver toned hair to create his electrifying shock hairdo. The wig goes on easy with a stretchy met so that it can fit you little ghoul's head comfortably. No need to dial "B" for Betel when you have your own little demon running around and scaring guests out of your home. Diameter Max. 12", Length: 8"